Hello and welcome to MANIc Monday! 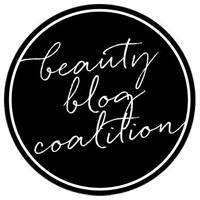 I am excited to introduce this new feature to my blog! Every Monday will now be MANIc Monday (get it, MANIc as in mani - hehe) and I will feature some sort of nail art. I may try to copy an amazing mani I've seen elsewhere or come up with something on my own. I really enjoy trying to do nail art but I don't seem to always make time for it. This way I will make myself make time for it! Hopefully it will help me improve my art skills as well! For today's design I decided to copy a mani that I saw from two of my favorite nail bloggers (and people that I am happy to call friends!) - Amy at I'm Feeling Nail-Venturous and Sheila at Pointless Café. First up is Amy's amazing mani. For the direct link to her post, click here. And next up is Sheila's awesome mani. For a direct link to her post, click here. I don't have the gorgeous long nails that these ladies have so my striping tape and gradient goes about halfway up my nail but I still love the way it turned out! I started out with a base of Kiko #327 (Granite Grey/Grigio Granite) - a medium grey creme. 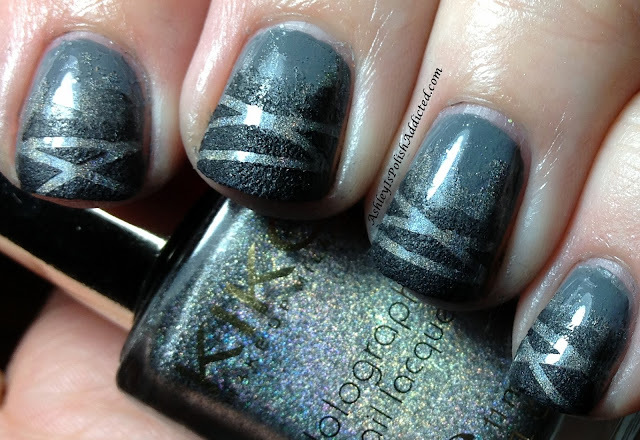 I then sponged on Kiko #400 Grey Holo. I added topcoat and waited for that to dry before adding my striping tape and sponging on SoFLaJo Black Dagger. I did not add topcoat because I really love Black Dagger's leather finish! So, what do you think? Did I do this design justice? What do you think of MANIc Monday? I hope you enjoy - I can't wait to try more nail art! Love the idea of manic monday!!! Really cool effect, I love the design :) You definitely did it justice! Fabulous!!! I love the holo!!! So pretty!!! I love KIKO.